Bestselling NIV Faithgirlz! Bible with a fun, new magnetic closure binding. This special binding of the NIV Faithgirlz! Bible offers a trendy and unique magnetic closure. 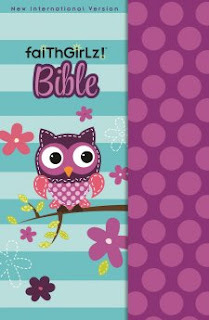 Packed with exciting features that help tween girls better understand themselves and Scripture, the NIV Faithgirlz! Bible teaches girls that the Bible is real, relevant, and, best of all, that the story of God and his people is also their story. With in-text features written by tween expert Nancy Rue, the NIV Faithgirlz! Bible uses the bestselling New International Version (NIV). 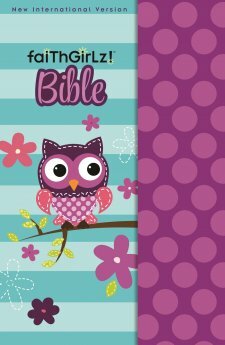 NIV Faithgirlz Bible By General Editor Nancy N. Rue is a fabulous Bible for girls! I love how girly it is which is something my daughters love as well. I also love the book introductions and think it really helps young girls connect and learn the content of the Bible. There are quizes to help young girls get to know themselves and words to live by to help them memorize Bible verses. The "Oh I Get It" section has answers to questions young girls may have. I think this is a wonderful Bible for young girls to really help them dive in and learn. You can find NIV Faithgirlz Bible By General Editor Nancy N. Rue on Amazon and other bookstores.